Engine, pinion angle and ride height are all relative to the ground. Most engines are set at 3 degrees, when you look at the side of the intake manifold on a carburetor engine you will notice the manifold has a wedge in it. This wedge is to allow the carburetor to sit level. The main purpose of having an engine angle is to allow for more room in the passenger compartment by having a smaller tunnel. That is why the car manufacturers build front engine cars with the engine at an angle. Drag race cars have a 2 to 3-degree negative engine angle, the engine will tip down in front. Having this negative angle allows for better weight transfer to the rear of the chassis. The 3 degrees you keep hearing about is the recommended angle for carburetor cars with intake manifolds set at 3 degrees. With the engine and pinion set at 3 degrees they do not line up directly and requires you to make them parallel. This misalignment allows the u-joints to rotate on a street car. You can set up the engine angle at almost any degree just as long as the transmission is perfectly inline with the pinion yoke. 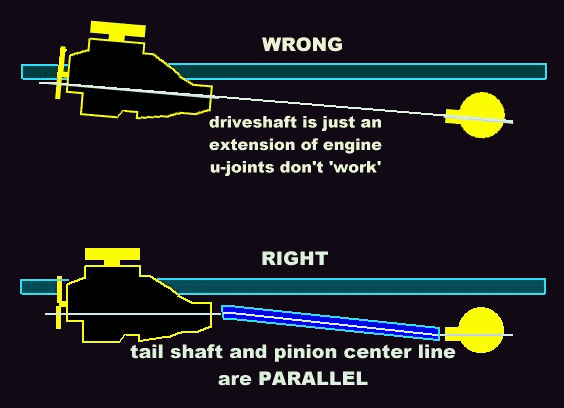 However, when the engine and pinion yoke is in direct line, it does not allow for the rotation of the u-joints. This straight alignment is mostly used on drag race cars. If you look under your car and check the pinion angle you will notice it is the same angle as the engine/transmission (they are parallel). 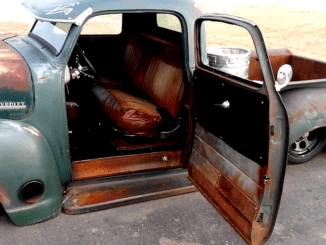 A good example of having negative engine/pinion angle is when you lower a 1-ton crew cab where you lower the front more than the rear and there is quite a “rake”. In this case, you have to put a wedge on the back side of the saddles to tip the pinion angle down. 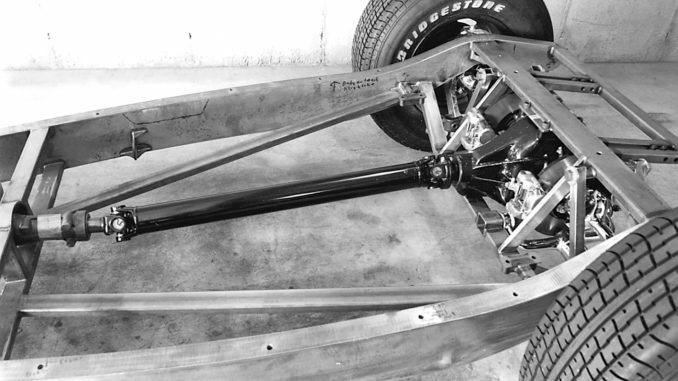 If you are building a chassis you need to first determine ride height. This is the most important thing you need to do. 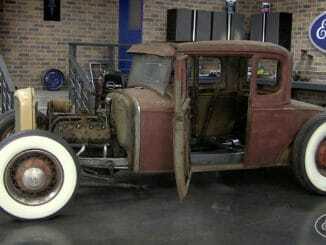 Decide what wheels and tires you want to use before you pick up the welder. If a chassis builder or a salesman does not ask you what tires you are going to use do not buy from him. How can he build your chassis without know the tire diameters? 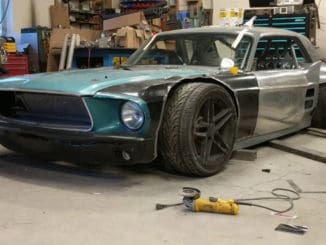 How can he set up the front end and engine angle? What they do is build a chassis based on what they want or think you should have and not what you want. Now determine the ground clearance you want for your oil pan. Set your motor mounts based on this and the angle to best fits your car. Try to set the transmission directly inline with pinion yoke and if that is not possible set the pinion parallel to the engine angle. Before you weld the brackets on the rear end housing, be sure that the rear end was set at ride height, where the rear end would be with the car done.